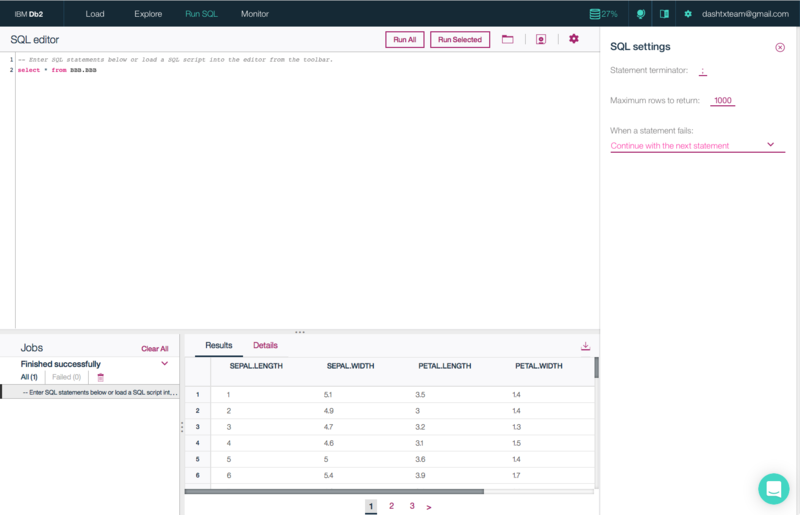 A fully managed SQL cloud database. Easily deploy and scale on demand. What is IBM Db2 on Cloud? 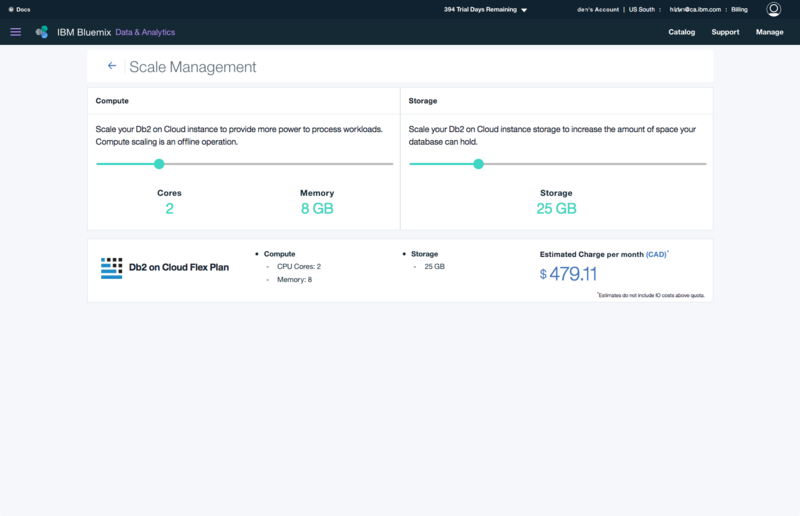 IBM Db2® on Cloud is a cloud database built for robust performance and provides a high-availability option with a 99.99 percent uptime SLA. Scale up or down as needed, and leverage rolling security updates for peace of mind. Db2 on Cloud is a fully managed database on cloud. Scale CPU up or down and pay for what you use on a daily basis. 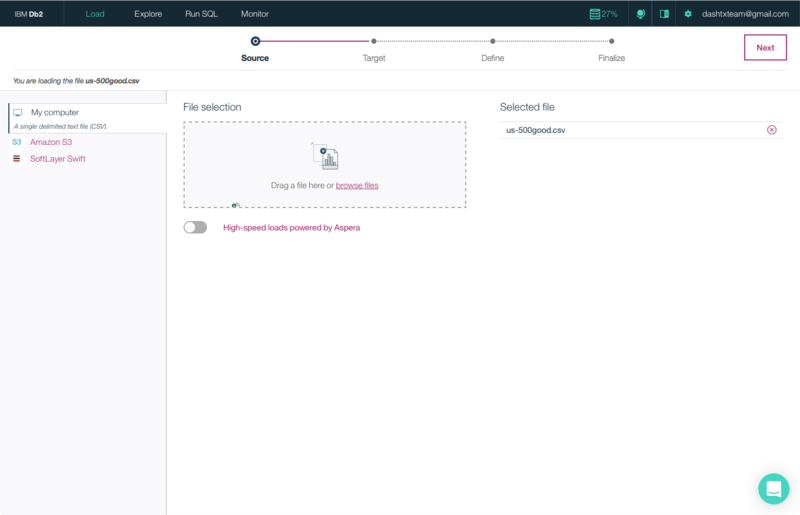 You can also scale CPU and storage independently. Db2 on Cloud enables you to move your database on cloud with Db2 and Oracle PL/SQL compatibility, and offers support for numerous data connectivity methods and types, including data federation. 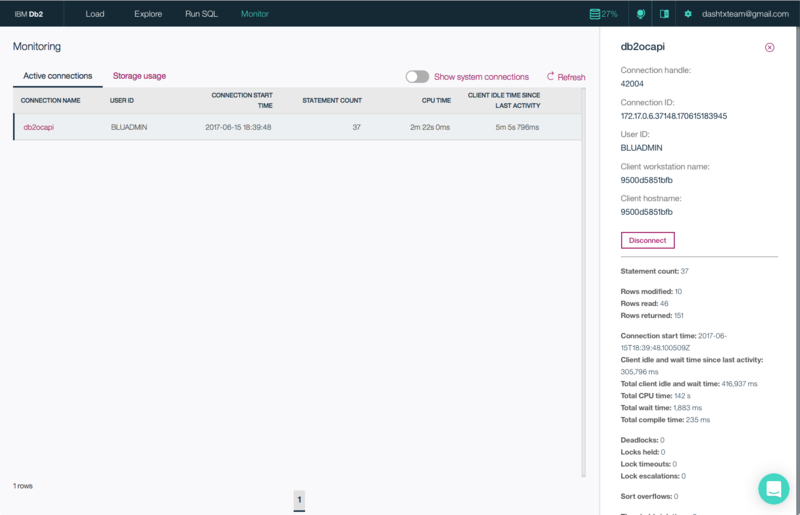 Db2 on Cloud helps you comply with data protection laws, and includes at-rest database encryption and SSL connections. High-availability plans provide seamless rolling security updates. IBM offers true hybrid capabilities by providing access to select Db2 on Cloud and Db2 Warehouse on Cloud services at a reduced cost to clients already holding entitlements for Db2 Developer, Db2 Advanced Edition and Db2 Workgroup Edition. To ensure the highest levels of availability, you can select with a few clicks an offsite data center for failover. Learn how Delhaize America improves customer engagement and loyalty, boosts supply chain efficiency and ushers in a new era of “data first” thinking.